Worldwide each year about 5.8 million people die from trauma and injuries, which accounts for 10 % of all deaths. Hence, injuries are one of the most frequent causes of deaths and the trend is rinsing. Because trauma often applies to young and middle-aged people, the costs due to loss of productivity (indirect cost) play a mature role for the national economy. In addition to injuries that result in death, there are even more injuries that are associated with direct medical health care costs of the survivors because of long hospitalizations, rehabilitation and/or lifelong need for care because of disability. Furthermore, there are high extra costs for specialized hospitals with trauma centres which are equipped to treat multiple/severely injured patients who usually appear as an emergency on 24 h a day without any warning and a need of a broad range of clinical skills and resources. Already the provision of separately necessary structures regarding staff, facilities and equipment increases the intrahospital costs per patient immensely. The challenge in evaluating complex interventions like the treatment of severe trauma patients arises by the variation of the active elements of the intervention. Therefore, it is difficult to specify the health technology, to identify the effective components and to replicate the health technology in different (health care) settings. Centers for Disease Control and Prevention National Center for Injury Prevention and Control (NCIPC). Injury: the leading cause of death among persons 1–44, 14 Apr 2014. Available from: http://www.cdc.gov/injury/overview/leading_cod.html. World Health Organization (WHO). Metrics: disability-adjusted life year (DALY), 14 Apr 2014. Available from: http://www.who.int/healthinfo/global_burden_disease/metrics_daly/en/. San Francisco General Hospital and Trauma Center. Trauma care, University of San Francisco, 14 Apr 2014. 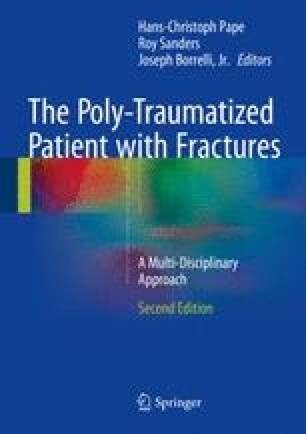 Available from: http://sfgh.ucsf.edu/trauma-care. World Health Organization (WHO). Health technology assessment, Cited 14 Apr 2014. Available from: http://www.who.int/medical_devices/assessment/en/.